Descuento de mi tarjeta - Got a Question - Alfred Center | get the most out of the best home security app! Thank you for reaching out to Alfred. Yo hablo mejor español yo cancele hace más de un mes en Google play la subscripcion El servicio lo cortaron entre el 20 o 26 del mes pasado y este mes me sale un descuento por el servicio en mi tarjeta y no lo estoy recibiendo. 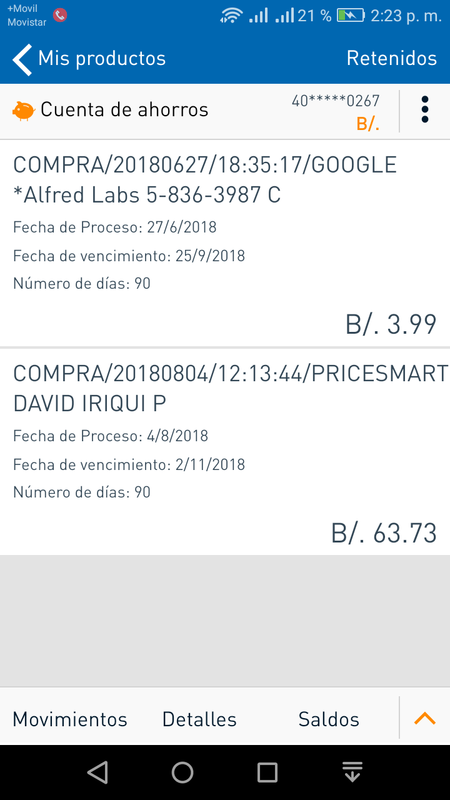 Debo ir a mi banco y denunciar ese cobro ilegítimo? We took a look at the logs and it seemed that your subscription had been canceled on Jul 29th, 2018. If you’re still being charged, please forward a copy of the receipt you received from Google Play Store/App Store/PayPal to support@my-alfred.com so we can take a look and help you fix it ASAP. 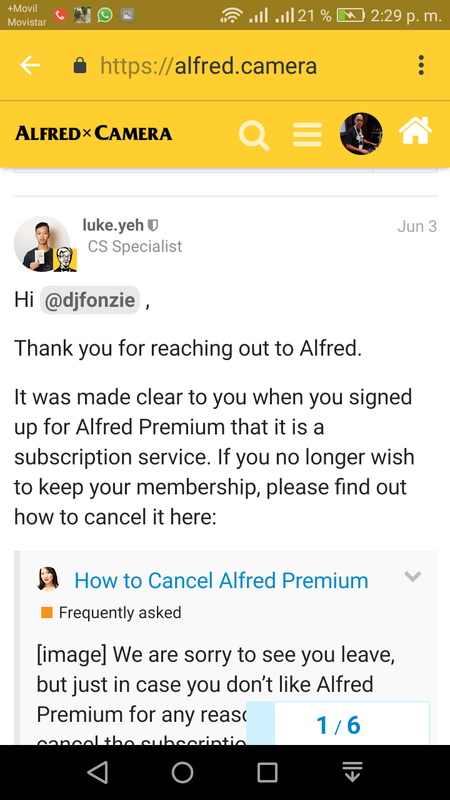 The receipt was for the subscription from June 28th to July 28th, and you canceled the Premium service on July 29th, 2018. Please let us know if you have other questions/feedback for Alfred in the future.